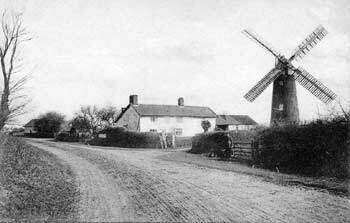 Deopham towermill was built at Mill Farm on the southeast side of the Attleborough Road. 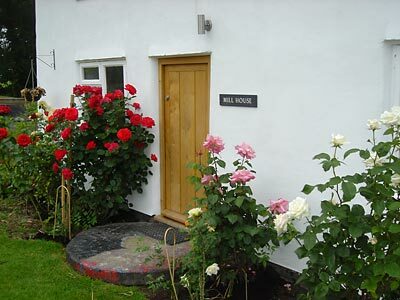 The 4 storey mill was built c.1830 to replace the smockmill that had stood on the site for many years. The mill used 4 double shuttered sails, each with 8 bays of 3 shutters to power two pairs of French burr stones and a flour mill. The boat shaped cap had a petticoat and held a 6 bladed fan. The windshaft in Stanton Mill carried the maker's name J. AICKMAN LYNN 1830. This shaft was originally in Deopham mill in Norfolk. 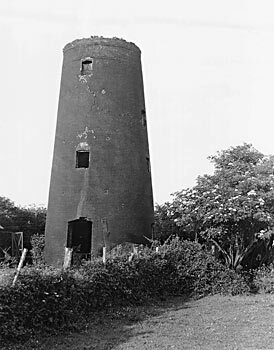 A Capital TOWER WINDMILL situate in DEOPHAM, with Flour Mill, two pair of French Stones & other requisite machinery, in a complete state of repair. Also a substantial Brick & Tiled Dwelling house, in the occupation of Mr. Robert Howe. Apply to Mr. John Eagling, Rockland near Attleburgh or to Mr. I. C. Taylor, Solr. Norwich. 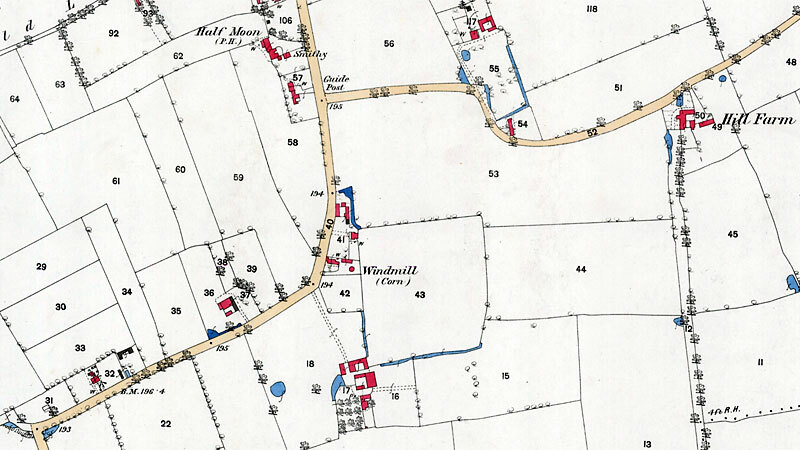 Freehold Property consisting of Windmill, Dwelling House and Buildings. 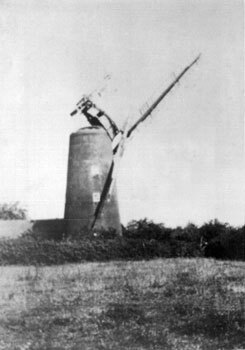 All that substantially built Brick TOWER WINDMILL well situated for trade with patent sails driving 2 pairs French Stones, fitted with Flour Mill & all requisite going gears. Apply to Messrs. Field & Bignold, Solrs. Norwich & the Auctioneers, Attleborough. All that substantially built Tower WINDMILL well situated for Trade, with DWELLING HOUSE, STABLE, GRANARY & other Outbuldings, Garden & Yard, late in the occupation of Mr. John E. Lee. Further particulars may be had of Messrs. Field & Bignold, Solicitors, Norwich & of the Auctioneers, Attleborough. 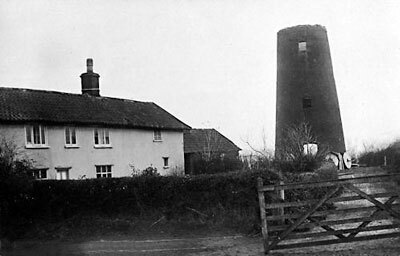 A Messuage, Outbuildings, Yards, Gardens, BRICK TOWER WIND CORN MILL with the Machinery & Going Gears therein in Deopham late in the occupation of Mr. George Goddard. Immediate possession. Apply to Mr. James Feltham, Solr. Hingham, Messrs. Renard & Pomeroy, Solrs. Wymondham or the Auctioneer, North Walsham. About three miles from Attleborough, Hingham, & Kimberley & five from Wymondham. Stocking & Mills are instructed to sell by Auction at the Kings Head Hotel, Wymondham on Friday June 3, 1881 at 3 for 4 o’c in One Lot, the well built BRICK TOWER WINDMILL, Granary, Cart Shed, Stable with Room over, DWELLING HOUSE, Garden & Outbuildings. 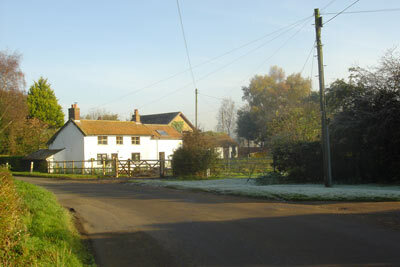 The whole containing about HALF an ACRE, situate in Deopham fronting the Road leading from Wymondham to Attleborough, abutting on property belonging to F.O. Taylor, Esq. & the Executors of the late G.B. Brown, Esq. & now in the occupation of Mr. J. Watts. Leasehold for a term of 1000 years form 21st June 1828. As Miller & Baker by a young man with good character, six years with last employer. 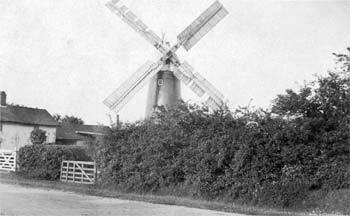 c.1830: Mill built on site of older smockmill Joseph Stott?